Seaahawks long snapper Nolan Frese suffered a sprained ankle on his first punt snap and had to grind through the rest of the game. Seahawk snapper Nolan Frese suffered a sprained ankle on his first punt snap of the game in the first quarter, an injury that grew progressively worse to the point that Frese was notably limping on the field in the final quarters. “He was hobbling the whole time and he did a pretty good job,” Seahawks coach Carroll said. The question now is how quickly Frese can recover for next week’s playoff game. Frese said he didn’t know the specifics of the injury other than that he “tweaked” it while blocking on a punt. Frese said that for the most part he could snap fine but that “the other part of my job was hard to do” meaning get downfield in coverage. Still, Frese was able to get in the mix of the defenders to ultimately force Raheem Mostert out of bounds following a trick play on a punt in the fourth quarter. 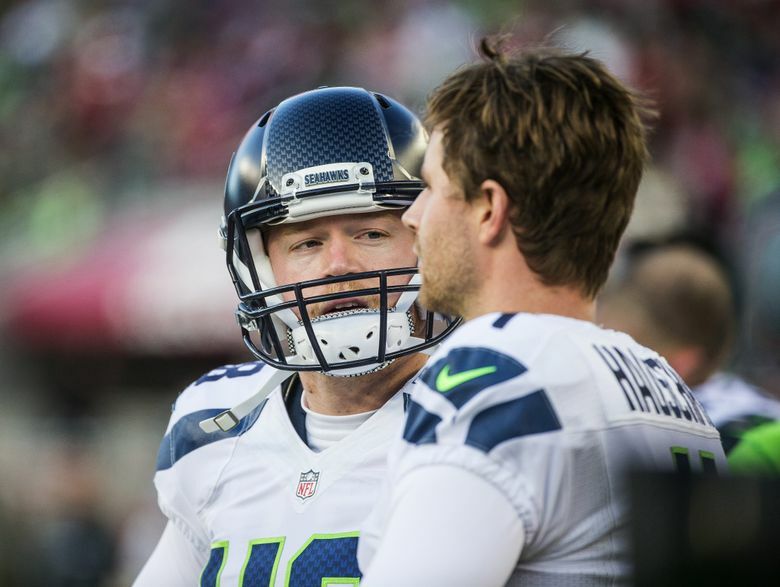 Frese won the snapping job this season after the Seahawks cut veteran Clint Gresham in March.